Select from the Sample Forms Below. Further links are included to aid you in conducting your own research and further reading. To find the latest IRS forms, go to the IRS Forms and Publications page on their website. UCC1 Filing Form (example from Florida) UCC-1 stands for Uniform Commercial Code Form 1 and is a notice to the public, for example for a lien created by a security agreement of a loan for a home etc. This form is not an agreement. The importance of this form for lenders is the first in time, first in line priority, as a UCC-1 notifies others of outstanding debt, such as a security agreement, summary judgement lien etc. UCC3 Release Form (example from Florida) UCC-3 stands for Uniform Commercial Code Form 3 and records public notice of various changed to a filed financing statement. It is used for reasons such as amending collateral, terminating a filing, amending a debtor or secured party name, continuation of a filing for another 5 years and making a full or partial assignment of a filing. Uniform Residential Loan Application Uniform Residential Loan Application from Fannie Mae. HUD Booklet on Shopping for your Home Loan Booklet from HUD describing shopping for your home loan. 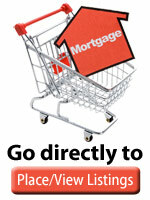 Before you buy, shopping for a house and loan, settlement procedures and additional information. IRS Form 4506 IRS Form 4506 - Request for Tax Transcript for a Lender to ask the borrower to sign a request for a copy or transcript of tax form, thus ensuring the lender receives the actual return. Check the IRS website for Form 4506to ensure you download the latest version. IRS Publication 523 IRS Publication 523 - Selling Your Home for use in preparing your 2010 tax return. Check the IRS website for Form 523 to ensure you download the latest version. IRS Form 4562 IRS Form 4562 - Depreciation and Amortization to claim your deduction for depreciation and amortization. Make the election under section 179 to expense certain property, and provide information on the business/investment use of automobiles and other listed property. Check the IRS website for Form 4562 to ensure you download the latest version. EPA Lead Protection Booklet How to protect your family from lead in your home. IRS Schedule A (Form 1040A) Schedule A - Itemized Deductions. If your deductible personal and family expenses (defined by the IRS) add up to more than the standard deduction and you have proof, you can itemize your deductions instead of claiming the standard deduction. Check the IRS website for Form 1040 to ensure you download the latest version. IRS Schedule B (Form 1040A) Schedule B - Report Taxable Interest Income and Ordinary Dividends. Your bank and other financial institutions are required to send you a 1099-INT form for interest earned. For dividends you should be sent a 1099-DIV form. Check the IRS website for Form 1040 to ensure you download the latest version. IRS Schedule E (Form 1040) IRS Schedule E (Form 1040) Supplemental Income and Loss used to report income or loss from rental real estate, royalties, partnerships, S corporations, estates, trusts and residential interest in REMICs. Check the IRS website for Schedule E to ensure you download the latest version. IRS Form 1098 IRS Form 1098 - Mortgage Interest Statement (sample only) to file the amount of interest and mortgage related expenses paid on a mortgage during a tax year. The mortgage lender is required by the IRS to provide borrowers with this form. Check the IRS website for Form 1098 to ensure you download the latest version. IRS Form 1096 IRS Form 1096 - Annual Summary and Transmittal of U.S. Information Returns (sample only) for when your business has issued a 1099-MISC or any 1098, 1099, 5498 or W2-G, you have to send the IRS the Form 1096 summary. Check the IRS website for Form 1096 to ensure you download the latest version. IRS Publication 537 IRS Publication 537 detailing the rules around gains from an installment sale and how they should be reported. An installment sale is a sale of property where you receive at least one payment after the tax year of the sale. IRS Form 1040 Schedule D IRS Form 1040 Schedule D to report capital gains and losses from the sale or exchange of property used in a trade or business; depreciable and amortizable property etc. IRS Publication 519 IRS Publication 519 explaining for tax purposes, an alien is an individual who is not a U.S. Citizen, classified as either non-resident and resident aliens. This publication will help you determine your status. IRS Publication 515 IRS Publication 515 about withholding of tax on non-resident aliens and foreign entities.